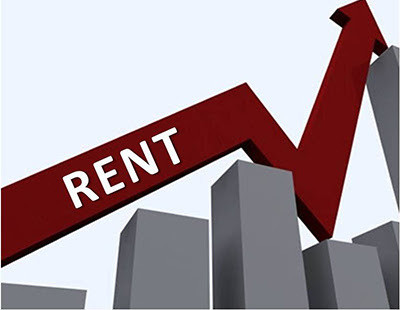 Rents on new tenancies continued to increase across most parts of the UK over the three months to July, albeit at a slower pace, according to new figures. Fresh data from the HomeLet Rental Index shows that the cost of a new tenancy in the private rentals market in the UK, excluding Greater London, rose by 2.3% to £779pcm in the three months to July 2016. However, the figures represent a fall from the 3.5% annual rise recorded over the three months to June. According to the Index, rental prices rose in almost every area of the country, with 10 out of the 12 regions surveyed seeing an increase over the three months to the end of July. Rental price growth in the UK was led by East Anglia and the East Midlands, where rents on an annual basis rose by 9.7% and 5.4% respectively. London remains by far the most expensive place in the UK to rent property, with the average rent on a new tenancy now stood at £1,599, up 4% year-on-year. The North East, South West and North West of England all saw annual rents fall, down -5%, -2.1% and -0.5% respectively. The data suggests that the rental market remains robust despite impending tax changes and uncertainties around the UK’s vote to leave the European Union in June. Martin Totty, chief executive of Barbon Insurance Group, HomeLet’s parent company, said: “Ultimately, rents will be determined by supply and demand in the private rental sector; what we know here is that population growth will continue to increase demand, and that the housing stock isn’t growing quickly enough to meet that demand. However, with rents ultimately limited to a tenant’s ability to pay, rents are likely to continue to climb, albeit at the slowing pace noted most recently.